Welcome to the home of over 2,800 tracks of church music. 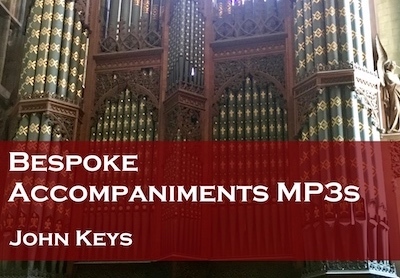 Played by leading organist John Keys, the tracks include accompaniments for hymns and worship songs, service settings and organ voluntaries. Scroll down to browse. These are accompaniments only - there is no singing on our tracks. Sets of hymn accompaniments for Lent, Holy Week, Easter and Ascensiontide - downloads 40% off. Plus - Master set of all accompaniments on memory stick currently 10% off. NEW! 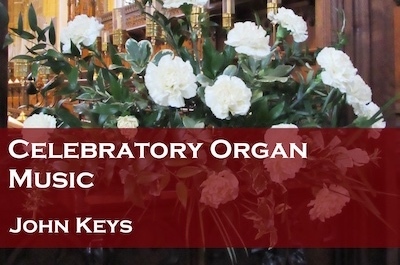 An album of longer organ voluntaries for joyous events: Celebratory Organ Music - now available as a CD and to download! For individual track downloads see the Library and for more details on all products see the menu items at the top of the page. Our sets are often the best way to get started. The Core Set Plus makes a good starter: 186 popular traditional hymn accompaniments. If you need more range, the Modern MP3 Set adds worship songs and junior worship songs piano accompaniments. Alternatively our Ultimate Set covers all 941 accompaniments for the A&M hymn book Hymns and Songs for Refreshing Worship. Or, to ensure the best match to your requirements, get our entire library with the Master Set. If you prefer to buy your accompaniments bit by bit, you can download individual tracks or sets of MP3s - or buy individual accompaniment CDs and sets of CDs rom a wide range of options, including special CDs for Christmas, Easter, Weddings, Funerals and Remembrance. And don't forget our handy Voluntaries and Service Settings CDs and downloads. You can jump straight into our CDs and MP3 sets in the Quick Access Store above or select an item from the main menu at the top of the page to get more information. Download a set - A range of our sets (and some individual albums) are now available for immediate download as MP3s. Buy a set - Ideal to replace an organist - collections of albums including our basic Core Set, the Ultimate Set with every hymn and song in the new Ancient and Modern hymn book, in order, or the Master Set with every track in our library. We have a whole range of issues covered in our Help/Frequently Asked Questions section from getting sheet music and changing the number of verses in a hymn to choosing the best format and playing the tracks in your venue. Please take a look at these if you need any help. Otherwise, please drop us an email at info@cul.co.uk and we'll be happy to help. 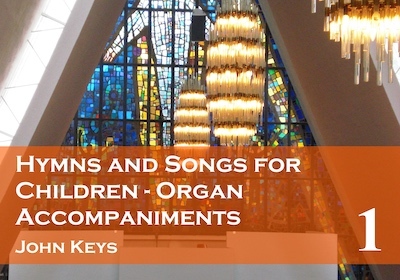 The first three of six albums of organ accompaniments taken from the hymn book Complete Anglican Hymns Old & New. We now offer bespoke CDs and memory sticks with your selection of tracks from our library. Find out more about bespoke CDs and memory stick sets. I have to say that we get compliments every week on the music. Having John as our organist 😊 has completely changed the quality of the music and the service… when we sang Jesu Joy of Man’s Desiring, people were floored. We got compliments for weeks. Our deacon told me he had a hard time focusing on serving communion because he just wanted to listen to the music. We had no hope of finding good accompaniment for that piece until we got the library. We recognise that increasingly there are multiple churches in a parish or benefice, and so a single purchase of our CDs and downloads is licensed for use in up to four churches, as long as they are in the same parish or benefice. Read more about the forgotten Victorian superstar of church music, Caleb Simper, and explore the world of football anthems.